Crystal Village 15A: Clean. Perfect location. Quiet neighborhood. All in all this place made for a perfect home away from home on our family vacation. Serenity: We had 9 adults there for a sailing regatta. The house was clean and spacious. The pool was a nice feature. Crystal Dunes 501: We will likely stay here again. My family were all very pleased. Serenity: For our 11-person extended family, this was a great set-up. The house was fairly well-equipped and the cabana house good for an older couple who could retreat away from the young kids in the evening. The house itself was in good shape, and our kids having access to the private pool will make most of their lasting memories. The beach is a 10-minute walk away. The kitchen was equipped enough–an important factor for us as we had most of our meals at home. There were daily little problems with the house that did require the kind of attention one doesn’t want to give on vacation: a plugged shower drain, no sharp knives, a grill that only heats to 175 degrees, a clothes-dryer that has a knack for catching zippers and buttons, and only 6 chairs (some broken) for the dining table in a house that sleeps 14. The management company was excellent and fixed the fixable issues on the same day, bringing a 3-3.5 star review up to a solid 4. Given that the real test is whether we would go back for the same price knowing what we know, the answer is a definitive ‘yes’. Tranquility: Great place for a family get together. Excellent location. Ice maker was a big plus. Only one oven was an issue but only because it was Thanksgiving. Overall, it worked out very well. 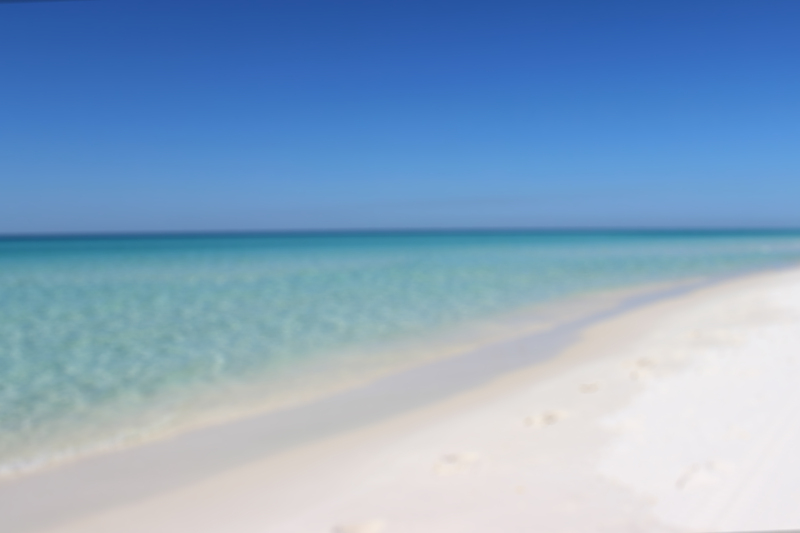 Sequoya Sun: You can expect a great experience and great hospitality from the staff at destin beach rentals. And there always responsive to emails calls with the lovely experience. Silver Beach Towers 704W: Our weeks stay was very nice. The unit was well furnished especially the kitchen facilities. The property was well maintained and the security was impressive. We hopefully will be able to stay again in 2019. Silver Beach Towers 1704E: Will definitely be returning to this condo and unit! Aqua Ocean View: The condo size was perfect for our small family. The tile floors were a little noisy, but generally the unit was really quiet. Pool was small, but a great option for my sand-phobic toddler. Would stay here again if we ever return to Destin. Mediterranea 212D: We love Mediterreanea and this particular unit did not disappoint! We also appreciate the professional and timely contact from the Staff of Destin Beach Realty in light of the expected landfall of Hurricane Michael at the beginning of our scheduled stay. We were alerted to the evacuation promptly and advised of when we would expect to be contacted again. We were promptly contacted once it was safe to travel in to the Destin area and arrangements were made to credit our missed two nights. We were very pleased. Thank you! Mainsail 441: This condo was great! It had everything that made us feel at home. My family enjoyed our stay here!! Sterling Shores PH13: As a property the grounds are well maintained, 2 convenient pools, close proximity to stores and restaurants, we have enjoyed staying in various condos here over the past 4 years. Some are updated, some not, some in progress like the one we just stayed in. I look forward to seeing the final updates and will stay in this condo again. St Maarten 1408: It was a great vacation with just a little hiccup from having to excavate from the hurricane. But Destin Beach Realty and the owner of our condo were great. We were reimbursed for the two days that we had to be away. We loved the condo at Silver Shells! We had amazing views. The kitchen was very well equipped for cooking in. We are hoping that our family will be able to return to this same condo for another beach vacation in the future! Crystal Dunes 501: The only issue is the 3 beds mattresses they are very hard which does provide for good sleep. Carpet needs to be replaced. Everything else was great we enjoy our stay through the hurricane and all. Mediterranea 212D: We really enjoyed our stay, The condo was everything, very clean,very comfortable and the staff was excellent. We have found a permanent vacation spot. Thanks for an excellent week! We can’t wait to come back next year. Majestic Sun902B: Loved the location of this condo. Very well maintained, clean and sparkly with absolutely lovely breathtaking views. Did not disappoint! Majestic Sun 608A: Great view and location. Caraway Cottage: We had a great stay at the Caraway Cottage. The house was perfect for my family and friends. Short walk to the beach and close drive for anything we wanted to do. Kids loved having a pool in the back yard as well. Definitely suggest this house for others! Crystal Dunes 501: The condo was awesome there 3 couples and a teenager. It was so spacious you didn’t feel like you were on top of each other. Everyone had there own room. Very clean well equipped. My entire family love it. Easy access right there on the beach. Will definitely stay there again. Had an awesome week there. Silver Beach Towers 1704E: Condo was perfect as well as the weather! We will definitely be back! Highly recommended! Love love love this place! Seawinds 1: The house was perfectly represented by pictures on your site. It was everything we hoped for. Thanks again. Leeward Key 1205: Overall, the condo was decorated nicely and the view was fantastic. St Maarten 1408: The private elevator access to the condo is priceless! Expect beautiful views of the ocean and a huge balcony. Bring extra toilet paper, paper towels, kitchen supplies, etc, as there is enough to get started. We brought a crock pot and Instant Pot for meals we had planned. It was a great condo! Seawinds 1: Excellent and beautiful house with an amazing view! Caraway Cottage: Loved this property close to the beach and close to a lot of shopping loved it . I will definitely recommended this property to anyone! Beach House 501B: Great location on beachfront. Updated and clean conso. Majestic Sun 311B: The place was much better than I expected. It provided all basic amenities and had a great view. I would definitely recommend it to others. Crystal Dunes 506: This condo was very nice with lots of room and it has 2 laundry areas! It’s great for large families or groups to vacation. Aqua Ocean View: This house is at a perfect location right across from the ocean. The walkway to get down to the beach is right in front of the condo, literally a 2 minute walk. Very clean. Kitchen is equipped to cook meals every day. Walmart is very close by as well. I will definitely be staying here again. Tranquility: Tranquility is a great location just across the street from the public beach access. Pool was a welcome feature for those who got tired of the beach. The house was perfect for our family, plenty of elbow room for kids and adults. It was very clean and well-equipped and no issues with maintenance along the way. Overall great impression and we will definitely book it again! Crystal Dunes 501: Enjoyed our stay at Crystal Dunes 501. Great layout for our group of 10 (5 adults, 5 kids), especially enjoyed the separate seating areas. Bunk room worked well for kids. Location is great with plenty of places to eat close by with a short drive. Enjoyed beach views from balconies on 5th and 6th floors. Silver Beach Towers 905E: A perfect beach location. A spectacular ocean view from not only the living room but also both bedrooms. These accommodations are close to restaurants and groceries. Seawinds 1: This home was way more than expected! Our whole family enjoyed the home and the beach and the kids loved all the beach toys. It was nice to be able to walk out the back door and just a few steps away you are at the beach and not crowded at all. We would definitely come stay here again. Silver Beach Towers 1704E: We had a great time in Destin as a family of 5. The unit had the most spectacular views with the floor to ceiling and wall to wall windows. The decor and furnishings are a bit outdated but everything was clean and we enjoyed the space. The beach service was great and the pool was so much fun, we never had an issue finding a table with an umbrella at the pool. Ciboney 3001: The place is clean with a great view of the beach from the Balcony. The neighborhood is alive with friendly people. Can’t wait to go back! Majestic Sun 412B: My family and I have been coming to the Sandestin area for over 30 years. We owned a condo similar to this one for years, but we recently sold ours and are looking to buy again. With this said we were very pleased with the accommodations, location to shopping, dining and access to the beautiful beach! I highly recommend this unit to any family or singles group for a marvelous experience! Summer Retreat: Sometimes pictures don’t do justice. We booked our vacation 5 months ago and was excited for our first trip to Florida. We must have looked at the pictures of our vacation home hundreds of times and would get excited as the days got closer. After a 11hr drive from Houston, we were tired and couldn’t wait to get there. We arrived at 2 and our home was already ready to check in. We drove up and the entire area was beautiful. I opened up the door and the living room was larger than the pictures showed. Just a 10 min walk or 3 min tram ride and we were at the beach! The only hiccup the whole week was a small drain at the base of the driveway that was covered up in duct tape. My 4 yr old nephew stepped in the hole and broke the tape. Luckily he wasn’t hurt. We just made sure he stayed away as the kids played nerf football in the cul-de-sac. The neighbors are friendly and it was nice to meet other people from virtually every state there to vacation that same with us. I would definitely stay there again. Looking forward to next year as you can’t do everything available in one week. Aqua Ocean View: The place is walking distance to the beach, many restaurants near. I really liked the location. Sugar Sands: Our family loved our Destin Beach vacation The beach and ocean were absolutely beautiful! We were close to the beach and also had a nice (large) pool for the kids to enjoy. We enjoyed lots of fresh seafood too! The house provided all of us plenty of room! We are already talking about returning in 2019! Seawinds 2: This place was great. The dryer was broke when we got there but we called and they came and fixed it immediately. We would definitely come back and stay here again! Crystal Village 15A: Great location , amazing looking space. Blue Surf 12B: Very nice condo – perfect for us Love the beach and enjoyed our time here so much!!! Crystal Village 15A: Loved this place. Perfect condo for our stay and was close enough to walk to the beach. Silver Beach Towers 704W: We had an excellent experience. The condo was spectacular and the resort exceptional. Best stay yet!! Crystal Village 15A: We had an amazing stay in Destin. Loved being two blocks away from the beach, the decorations and color scheme, and having the pool right outside the patio door. Anchors 5: We had a wonderful time. The house was big enough to accommodate 8 adults and 4 children. Well located in front of the beach. Tranquility: Beautiful, well-stocked rental. Personnel were very prompt and helpful. My email questions were answered the same day. Mediterranea 212D: Great location. Condo was well appointed and very comfortable. We had an incredible week! Blue Surf 13A: The place is overall decent. Nothing fancy but a place to sleep and shower. Location is excellent for beaching. Majestic Sun 608A: Our room was very pleasant, clean, comfortable, had everything we needed and we felt right at home. The beach front was incredible and we cant wait to do it again. Thank you. Caraway Cottage: We LOVED how close the walk was to the beach, every night it was our hang out place. The kids enjoyed the pool. The house accommodated all our guests perfectly, overall awesome house! Mediterranea 511D: The beach was excellent. It was big and the room came with an umbrella and two chairs for he beach. Otherwise it’s $40 per day. There is also a basement parking garage which is awesome – the reserved spot for this room was right next to the elevator which made loading and unloading easy – shortest haul ive ever had to make to move our stuff. The rooms were large with plenty of space – plus two and a half bathrooms. The unit had 3 total balconies – And with this property being only 5 stories, the top floor is definitely the best. The pool was big enough and never felt overcrowded. We will definitely stay here again on our next Destin trip. Ariel Dunes 1801:We enjoyed ourselves, amazing views!! The property was everything we expected. The decks are large and the corner unit has a lot of perks in terms of views. Quality finishes throughout. The unit and the property are well kept. We will be back if our schedule allows. St Maarten 1408: Great condo. Loved it. Perfect for us. Sequoya Sun: Amazing people! And House was very comfortable. Very safe neighborhood. Blue Surf 12B: The condo was very well decorated and clean. The view of the ocean was great. Mediterranea 210D: Very clean place, great furniture, equipped well for cooking. Right next to the beach. Easy walk in / out! Garage parking was great to have, no hassle. Comfy beds for 6, but sleepersofa for 8 was a bit flat. Otherwise, I will definitely come back to this place. Can’t beat how easy it was to access the beach. Mainsail 441: The condo was very nice and spacious. It had all the necessary amenities. Great condo…wonderful location! Caraway Cottage:We had a lovely time! We would highly recommend the Caraway cottage. Aqua Ocean View: The location is perfect! The ac is very cold, the unit could use some updating but for the price it was great! The beds were very comfortable and the towels were fluffy. Thank you! Silver Beach Towers 905E: We loved it! Great short vacations, We will definitely come back! Ciboney 3001 is a great location right across from the beach. The condo is clean, close to the rental office and town. Noise wasn’t an issue from other guests or the road. We will definitely consider this condo again for our next trip! Crystal Village 15A: This condo was updated, on the first floor, and a great place to stay. The walk to the beach was a little much for us but that’s because we have three children and brought way too much each day. Great place!! Serenity: The property overall is great! We loved the large pool, the cabana house was great also! There were a few things wrong when we arrived that we notified the office about so we did not get blamed for them. We did have to drive to the beach even though it is 4 blocks, it is a long 4 blocks. The house was very accommodating! We had 8 adults and 5 children and were never crowded. Caraway Cottage: Our family enjoyed our stay in this wonderful home! The pool was great! We had 11 people staying and we all had plenty of room! Blue Surf 14A: Great place to stay! It was clean and nice and had everything we needed. Highly recommend and we want to come back. Mediterranea 212D: The condo was clean and conveniently located on the bottom floor. We loved everything about our stay! Silver Beach Towers 1704E: Great condo to stay in. Very well maintained. Mainsail 441:The condo was even better than anticipated…larger living area and balcony. It was clean and updated. The ocean and beach view was beautiful. We would reserve this one again. Anchors 5: Our vacay was wonderful. Weather was best ever and anchors 5 was a wonderful and perfect place. No problems at all. It would be nice to be able to leave the keys in the house and not have to drive back to the office, but that was the ONLY thing we didn’t like! It was a beautiful and spacious place. Also kitchen was very equipped with everything we needed. We don’t go out to eat so we cook and eat at the house.. Our family of 10 …including 4 children loved that it was RIGHT on the beach. They could run back and forth! we set up our canopy tents behind the complimentary umbrella and chairs. Internet connection was good all week. No complaints from the Russell’s and Knotts families! We’d recommend Anchors 5 to anyone! The office staff were always very pleasant to talk with and answered all questions I asked! Everything I was told from them was exactly correct! We loved it! We stayed June 18-25 2018. Crystal Village 15A: Amazing place to stay!! Majestic Sun 803B: Clean and a beautiful view of the beach! Cibony 3001: Great place, apartment has plenty of space, updated and clean. Perfect distance to the beach and quiet area!.. would go back in a heart beat! Mediterranea 511D: Beautiful property and perfect for a beach escape. Carraway Cottage: Wonderful place. Lots of room. Great beach house! Majestic Sun 809A: We stayed in building A in a one bedroom/bunk condo. We enjoyed the stay very much. Great location in my opinion. The beaches and water were BEAUTIFUL. There was an small elevator issue for a day or two. Seawinds 2: It was wonderful being able to walk straight to beach. We loved it!! Siver Beach Towers 905E: Destin was the perfect plce to vacation! We were completely satisfied with our condo and Silver Beach Towers. Crystal Village 15A:Amazing location, clean clean clean, kid friendly to boot–it was so nice to have plastic cups, plates, and bowls for the kiddos. Staying here inspired my family to want to return every year, and that is saying something! Checking in and out was a breeze, keyless entry is great because you don’t have to worry about losing a key in the sand. Great value, quick response time to messages/inquiries, looking forward to our next visit to Destin/Miramar Beach! Seawinds 2: Stayed at Seawinds 2 this past week and it was fantastic. As usual I was late and the Staff was extremely accommodating. They made sure that I had everything I needed to get to Seawinds quickly and easily. They also even went so far as to hold some UPS shipments for me that I needed during my stay. The location of the office was perfect, right in the middle of everything. If you are looking for a great value directly on the beach, right in the middle of everything, Seawinds 2 is the place. Thanks Destin Beach Realty!! Serendipity: We had the best time at Serendipity!! We shared this house with 2 other families so a total of 6 adults and 6 kids! Just the right amount of space! The pool was amazing and it was a short walk to the beach! You have a beautiful view of the ocean from all balconies except the one that over looks the pool. Kitchen was fully equipped with everything we needed and the beds were comfortable! I would highly recommend this place and if we visit Destin in the future I will stay at Serendipity again. Destin Beach Reality was easy to work with! Great Vacation! Mediterranea 511D:Condo is beautiful, clean and comfortable! And the area is perfect!! Close in and convenient to so many restaurants and shopping! Sequoya Sun Great place to stay …… Thanks for the experience !!!! Crystal Village 15A: Great location, just minutes away from beach access. Tucked away in a quiet place and not too many foot traffic! It was very spacious and much bigger than expected and the pool was right outside the door! Overall this place was excellent and exceeded expectations! Crystal Dunes 501: Our party of 6 adults and 6 children enjoyed this condo. The bunk room was great for the kids. King beds instead of queens in the other bedrooms would make it perfect, although the beds were very comfortable. We really liked having two sitting areas with ample, comfortable seating. The decor is well done in serene beach colors and nice furnishings. The kitchen was just large enough, well equipped and very functional with plenty of dining seating. We looked for, but didn’t find, a small hand-held electric mixer and muffin pan. The large pantry was fabulous for storing all our groceries since we cooked most meals. The view from the balconies was just beautiful and we think Destin beaches and the almost unbelievable blue green water color are worth a little extra drive time for us. The balconies are a little tight and we would like pub height seating since the railing is just at eye level when seated. There was an elevator incident during our stay but all ended well. The pool was lovely even though it’s not beachside and the kids thoroughly enjoyed it. We walked to Henderson State Park beach easily and enjoyed that uncrowded area as well with no buildings. Beautiful area and a nice condo for large family groups. Seawinds 1: This townhouse was perfect for our girls week. It is so convenient to the beach and everything we wanted (shopping, restaurants, etc). The furnishings were very nice and the kitchen had everything we needed. We all agreed that we would stay here again. Another reviewer said the pictures do not do it justice we agree. So nice to not be crowded on the beach like the condo towers. The rental agency was very easy to work with. Ready to come back!! Majestic Sun 608A: This is a great location within a few steps to the beach, and the view is wonderful. Nicely furnished and easy check in and out. A very quiet building and parking deck is easily accessible. Also, constant security around the building and parking. We WILL go back! St Maarten 1408: Gena and her team at Destin Beach Realty were very honest and wonderful to work with! We have stayed at the Silver Shells in the St. Maarten unit on several occasions. We love the building, the gulf front view, the private elevator, reserved parking, the huge pool, paths to the Candy Maker and the Back Porch, the workout center and basketball and tennis courts. I was hesitant to rent 1408 at first because of the not so great reviews given in 2017, but since then Gena and the team at Destin Beach Realty assured me that the owner had updated the condo. They were right! This unit is very clean and comfortable! We enjoyed our stay in Destin very much. Majestic Sun 403A: We had a wonderful time relaxing in this perfectly placed condo. The balcony was the best place to sit and watch all the activity and enjoy the beautiful Gulf views. The furnishings were comfortable. The realty company was great to work with. All plans went very smoothly. Leeward Key 1205: We had a wonderful time in Destin last week. This condo was perfect! It was clean and exactly as shown in the pictures. The view was spectacular and the pool(s) and private beach access was appreciated. We traveled with our three children ranging from 21 to 11 and everyone had a great time. So many restaurants – – and not enough time. We will be back and will certainly stay in this same spot again. Thank you for a wonderful week! Seawinds 1: Townhouse was superb! Beautifully decorated and well stocked for home cooking. We loved the lower deck for days when the wind made it a little hard to sit on the beach. The cleaning team did a great job preparing the house for our stay. We only ate out once since we felt we had the best restaurant and table in town right at Seawind 1. Enjoyed the beach chairs, umbrella and Bocce Ball set…endless games of fun. Alll around, a perfect family gathering venue!!! Serenity: Can’t say enough good things about this property. We had six adults and six children and were very comfortable in the space. The house is very well appointed, everything was spotless and well kept. The guest house really surprised us. It was essentially another house, with full kitchen, laundry, bathroom, 1 bedroom and a living room with a pullout coach. Just down the street from the beach and a great restaurant/bar. Crystal Villa 15A: This place is bigger than the pictures looked! Comfortably slept 2 adults & 4 kids. The couch in the living room turned into a sofa bed. Was nervous that there wasn’t any reviews to read about this property before booking, but I’m so glad we did! It was literally 2 blocks from the beach, so you could walk there no problem! Majestic Sun 612A: WWe enjoyed our trip to Miramar Beach recently. This location was perfect for our young daughters with the proximity to the pool and beach. The unit was cleaning and check in and check out was easy. Thanks for a great stay! Majestic Sun 608A: The place was clean and well stocked with dishes. The beds were comfortable. The view was amazing. We enjoyed the swimming pool and the very short walk to the beach. We liked that the resort was family oriented and hardly noticed the spring breakers . The washer and dryer were having it located within the apartment. Overall we had a superb stay and look forward to coming again with the exception of the 14 hour drive. Main Sail 441: We had a great time and the condo was perfect. Very modern and everything looked as if it was brand new. We would definitely stay here again. Crystal Dunes 506: The property exceeded our expectations. We were already excited about it having reviewed photos and a You Tube Video, but were blown away by the size and condition of the place when we arrived. It’s a great location, well maintained in a quite area, with a proactive property/beach management team. Thank you to the owner who appointed the place beautifully, making it a more than comfortable stay. It’s an exceptional condo and would certainly choose it again if we have a large group in Destin. Summer Lovin: We come to Destin every summer, and have stayed at a few different places. Summer Lovin is my 2nd favorite. Overall, we loved it! I would definitely recommend this rental property to all of my friends and family. Leeward Key 1205: We enjoyed our stay at Leeward Key very much, The balcony and bedroom views were fabulous. Second bedroom was nice and spacious enough for our 4 teens to share. Easy access to the beach and pools. Luggage carts were easily accessible and readily available. Everyone was very friendly. Nice,safe area. Crystal Village 30B: Great condo! New kitchen appliances, very clean and well kept. Great access to beach. Majestic Sun 809A: This was just a little getaway for my son & his friend before we start school again. The condo is very spacious and clean. The condo is in a great location and would definently stay there again. Great . We been to Destin 9 times we finally found a home. Majestic Sun 812A: Happy 4th of July to everyone. Although this was an EXTREMELY busy time for everyone involved with our stay, I have to say it was an excellent trip and went off without a hitch!! Would rate the property itself at a 4 star level, and Destin Beach Realty gets a 5 star plus rating! They were wonderful!! Don’t hesitate to give them a call. They will be my go to Realty company when visiting Destin from now on! Majestic Sun 412B: This property was exactly what it claimed to be! The view was beautiful just as I suspected. The maintenance staff was marvelous and friendly. Wonderful facility. Summer Spell 210: No complaints. Condo was in great condition and very clean. We will be requesting this unit again. Summer Retreat: This home is just a little slice of paradise. Our family had plenty of room to spread out but having a large table made sure we had plenty of family time. We try to vacation in a new spot every year but this might be our first repeat destination due to the great house and fabulous beach!!! Realty company is super friendly and easy to communicate with during the planning and stay. Our family would recommend this to anyone who needs a beach break!!! Serendipity: Beautiful home very clean short walk to beach loved the pool. Great place for family vacation. Blue Surf 12B: Hello, our family had a great time on your property. The condo was super clean and was perfect for our family vacation. The views of the gulf from 12B could not be any better! Thank-you so much for the stay, we will be back! Ariel Dunes 1801: We walked in to our condo and it was beautiful!! The view from the 18th floor was breathtaking!! The convenience of having the beach directly across the street made access for our beach trips and the two pools were huge and always clean!! Also, the Cabana Cafe was fabulous and the staff was extremely friendly! I wanted some mashed potatoes and gravy and the chef made some just for me…it was probably around 12:30-1:00 in the morning. We will definitely be back!!! Cibony 3001: We loved our stay! The condo was right across from the beach and the beds were comfy and the kitchen nice and clean. We would stay there again in a heartbeat! Silver Beach Towers 1704E: Very convenient. Clean and furnished nicely. Beach access was excellent. Deserves a rating of 4.5. Seawinds 2:We stayed last week at SeaWinds #2 and I have to say it was a lovely place. We had friends marry at Seascape and I’m so happy we chose to stay here instead! The beach isn’t overcrowded and it’s steps from the back door. We had 9 adults stay 5 nights and there was more than enough room for all! It’s a great place for couples/families/singles. The decor is very cute and the house was clean on our arrival. The location is great for walking and shopping is about a five minute drive away. There is a gas station across the street for supplies in a pinch and Publix is a five minute drive. The realty office is a two minute drive and check in was as simple. Check out was very clear and easy as well. Great place!